New Jersey now has what amounts to a tax on rain. How much it will be and who will have to pay it won’t be known for some time, but the bill to raise funds to address stormwater runoff problems is now law. Gov. Phil Murphy signed the measure earlier today. It allows municipalities and counties to establish independent authorities to address stormwater runoff issues and levy fees based on the amount of impervious surface on individual properties. “This law adds yet another tax on our already overburdened residents and businesses, though there is no language to define how much people will be charged, how the funds will be collected or how the funds generated by it will actually address stormwater issues,” said NJBIA Vice President Ray Cantor. “This legislation essentially creates a new, non-deductible property tax on the public and another bureaucratic expense at the local level. Churches and non-profits, as well as residents and businesses, will all be susceptible to these added fees based on their patios, parking lots, driveways and roofs,” he said. All 565 individual municipalities could potentially charge fees within their own boundaries as well as their respective counties, potentially forcing property owners to deal with two bureaucracies and fees for the same property. Cantor said the law will be extremely difficult to administer because it requires an analysis of each property in a town, credits for existing facilities, and credits for how well a property owner maintains a facility. There is no certainty on how much can be collected and no stated appeals process. I wonder what the next socialist scheme is going to be? NJBIA is useless and powerless in the face of these democrat Marxists. True, they are out of control. When will this endless piling on of taxes end??? I can only hope people will vote this governor out of office the next go around. Possibly if more the 15% of the people get out and vote. Tax and spend…that is the democrat way. They are all jerks. If the “leaders” would put time an energy into actual governing instead of taxing, the state would be better off. Stop providing free college, community or otherwise, to illegal aliens, stop trying to legalize pop and fix what needs to be fixed. Tax and spend….I can’t wait to leave this state! Governor Murphy is certainly leading to the mass exodus of decent residents. I agree with you 100%. South Jersey has been my home most of my 55 years and I never thought I’d see the day that I can’t wait to get out of here. Murphy makes me absolutely sick with his liberal policies. This is totally crazy! This not only puts more burden on an already OVERBURDENED homeowner but the individual towns that will have to inspect every single property in their respective towns to determine how much to charge each Homeowner! What in the world is this crazy Governor trying to accomplish other than dragging NJ deeper into debt and scandals. I didn’t and would Never vote for this Multi-Millionaire who only is concerned about his self-serving constituents and himself. What about the Homeowners that are struggling to stay afloat. Doesn’t anyone realize or care that so many people and businesses are leaving the “Garden State? I guess nobody cares anymore. I wish everyone would send letters and make phone calls to your Local Reps to let them know and to have and MAKE THEM ALL accountable for their Non-Effort to control this crazy Governor! We should go back to collecting our rainwater in cisterns to be used for gardens and lawn watering. With no water running into the storm drain, there is no justification for taxing. AND it will reduce our respective water bills. Cite the chapter and verse, please. Not too mention more governent employees racking up pensions and health benefits already bankrupting our state. And then the politicians wonder why the state is losing more people than it is attracting. Note to homeowners 40 and above…sell now why you can still get some value out of your home because in 20 years this state will be at the bottom of every list. Such a shame because many people would like to stay here in retirement but will have absolutely no choice because the taxes are so high. All the people I know do vote and vote against ridiculous laws like this but for some reason they still make it through. Wake up residents….those that want everything provided for them better realize that pretty soon if you live in the state of NJ you will be paying 60-70% of every dollar earned to state and federal taxes. Really…what is the legality of double taxing home owners??? Simply atrocious! 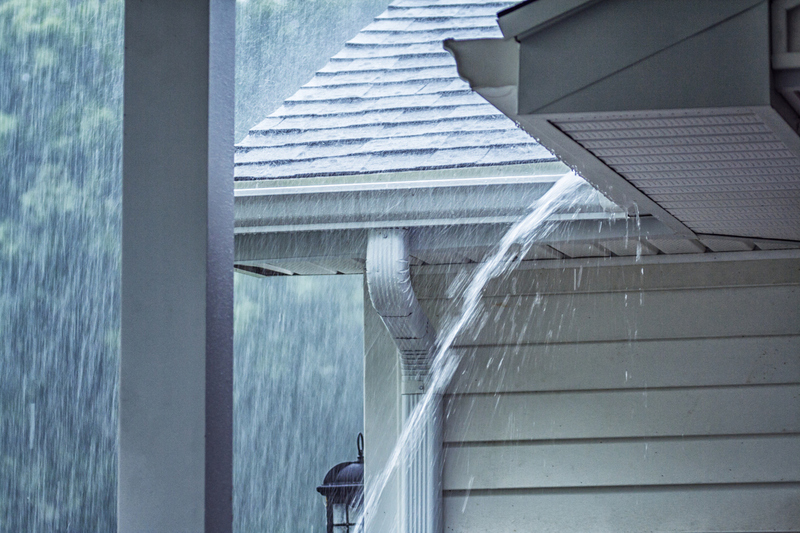 It is illegal in NJ to collect rainwater, but it is now legal for the state to tax rainwater. I don’t even get to use it and I get taxed on it…? The storm water system is an ever changing dynamic, like the weather. This is akin to creating a tax on sunshine as I may need air conditioning which requires electric which creates pollution when it is made. Logical right? 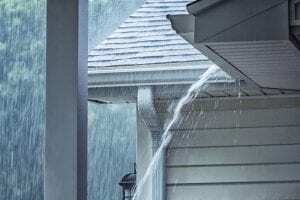 Lee: Can you provide the law that states it is illegal to collect rainwater in NJ? I just did an online search and nothing came up? Big question is why New Jersey voted Murphy in. Do not see any fat being cut only more taxes. I would love to comment but it “all” has been said. The question is what can be done? One thing, just one thing, please,,,,, and do not say get out and vote, we do that. Thanks just what we need how about the sprinkler fire line tax Passaic valley water commission charges for water we never use $371.52 per month plus my water bill every month I am trying to get my family on board to take my business some where else yours truly not so happy in the state I grow up in. OMG WHAT A JOKE!!! I HAVE A IDEA WHY DONT THEY TAX THEMSELVES FOR ALL THE BRINE AND SALT THAT ENDS UP DOWN THE STORM DRAINS SOCIALIST STATE CANT GET OUT FAST ENOUGH!!!! So our company has received an exemption since a) we dont store anything outside and b) we have never paved our lot and it remains gravel so that stormwater has someplace to go. I can imagine that the exemption process was cancelled as well. Another tax on the backs of small businesses. This is insanity and they are getting away with it. We are giving more than enough of our hard earned wages to the government. This is just stupidity. How can you tax the rain!??? Hey NJBIA President Michele Siekerka and Bob Considine, Chief Communications Officer…how about sharing all the comments from this article with Governor Murphy this week? How about setting up a round table discussion with home owners that also own a business in the state with Governor Murphy so he can understand how utterly ridiculous this law is? Is he truly so far removed that he can’t comprehend the stress the taxes this state constantly implement on homeowners are going to cause it to collapse? Educated people know not to spend what you don’t have and to save for your future…I know the elected officials are educated and experienced, why do they not see the harm they are doing? I did a poll of 32 homeowners in this state that are ages 47 to 62…94% are leaving when they retire. And, most of their children are all ready out of state! Unfortunately the Socialist Progressive Democrats have done so much damage, that it would take 100 years of conservative republicans to straightened this mess out. Therefore, the only option for earners is to vacate this state as soon as possible. The next problem these limousine liberals will have is figuring out who to tax, when we and the businesses are all gone. Look at the Finance guy who earned 1 billion dollars a year and he left. It put the treasury in a tail spin since he paid $ 250 million in tax. One thing I have to point out is that Sweeney a democrat, realizes this is a problem. One man in that party is not enough to change course. These people do not get it, we had automobile and truck plants, all gone. Newark, Passaic and Paterson manufacturing gutted. Most of these business’s have gone to other friendly states, and are welcome. NJ punishes you. Maybe they will get it when there is nothing left, or is this a setup to socialism, so they can come in and save the day. I hope this straightens out before I am ready to leave, but I highly doubt it. I have been exploring Delaware. The house I have in NJ is $ 14,000.00 per year for real estate tax, while the same one in Delaware is between $ 500.00 and $ 1,500.00 per year for real estate tax. When your children are no longer in the school system, you get a credit. Cannot wait to get out ! REMEMBER THEIR IS TAX IF YOU MOVE OUT OF THIS GREAT STATE ALL READY ON THE BOOKS!! Phantom water taxes seem to be endemic in New Jersey. Garfield has a beauty that it imposes on businesses with sprinkler systems ( which are required by law). They call it a demand charge, which is for the availability of the water your sprinkler system might use if your building ever burns down. I wonder if you get a refund that will be paid to the bankruptcy trustee after your building burns down and you are out of business. Florida is looking better and better every day. I was born in this state and I love it here for all its diversity and dynamism, but the tax environment is just killing this state as is the regulatory environment. No one but the largest companies can keep up with these myriad taxes and regulations and fines and bureaucratic harassment. And they are voting with their feet, as we have seen in the case of Honeywell, which could not even be bribed to stay here. All of this explains why my house is worth not much more than what I paid for it 25 years ago despite inflation that would at least justify a more than doubling of the price. Our founding fathers were hit with a tea tax, so they rebelled and changed their government. We are taxed on everything except milk and yet we just keep voting the liberal republican and democrats into office. Last November the school bond issue had a provision that if the State cannot pay it the State can impose a real estate tax for the first time, now you only pay the city, school and county real estate taxes. Now the rain tax. Maybe when the government taxes the Sun, the people will finally vote the bums out of office. Wake up New Jersey! The voters created this TAX Creature Murphy , especially the takers. The working class has no voice ! Impeach this socialist ,Venezuela might soon have an opening shortly. All you have to do is spend and give all the money away and do nothing economically positive for business creatures and working residents. The next Tax will be oxygen ! Just think NJ is close to last for jobs created and first in losing total business. All has been said well. I am glad I am not alone in a State that I do not agree with nor belong! Did you notice how this is going to be set up? A commissioner in every town! What is that person going to do? Make sure rain only falls down? Every town now has the ability to hire more relatives and connected people. I am also sure they will have a support staff. Look at the way they are setting up pot sales. Do we really need a five person commission, plus support staff, for this? New Jersey is going to destroy itself from these practices. Look at Atlantic City we had a lock on east coast gambling for decades. They destroyed it never upgraded the area. However they gave patronage jobs away until any money AC produced was squandered! Does the working man have a voice? Yes. Do we all get out and vote? No ! In 2017 NJ had 5,754,862 registered voters. There were 2,094,491 votes cast for a gubernatorial candidate (36.4% turnout). 3,660,371 DID NOT VOTE!! Murphy won by 282,938. Vote and tell your kids and neighbors to vote. Like many of you I was born, raised and lived here all my life. I’d hate to have to leave. Let’s try to change things. Who is going to address the fact that the state itself is the biggest offender of runoff pollution.